We’ve all twisted our ankles before. Sprained ankles typically result when the foot rolls onto the ankle, stretching or even tearing the ligaments. Ankle sprains are a common sports injury, but they can also happen when walking, jumping, or running. The extent of the sprain affects pain, ankle stability, and recovery time. For example, a grade I ankle sprain, while tender, has minimal ligament damage and little loss of function. Recovery typically lasts a week or two. On the other hand, a grade III ankle sprain involves completely torn ligaments. The ankle joint is unstable, and recovery can last up to six or more months. While many of us have suffered through a sprained ankle by icing it and giving it time, minor-to-severe ankle sprains require proper treatment and rehab. This is important not just for your immediate recovery but also for your future. Without treatment, ankle sprains can weaken the joint and contribute to future injuries, which in turn, can lead to long-term complications such as ongoing instability, chronic pain, or arthritis. Minor sprains have traditionally been treated with rest, ice packs, propping up your ankle, and avoiding putting weight on it for a while. For more severe sprains, physical therapy is usually prescribed. However, more and more evidence shows that even grade I sprains can benefit from physical therapy. Regardless of severity, if you’ve recently sprained your ankle, come in and get it evaluated. That’s where we come in — and the sooner the better. Here’s why: Early treatment is important to prevent other injuries in other areas later on. Seeking physical therapy now gets you on the path to recovery faster, helping you to recover from an ankle sprain without compromising other parts of your body. So, what will we work on in physical therapy for a sprained ankle? Balance and proprioception — You probably know what balance is (your ability to stay upright) but proprioception might be new to you. Proprioception is your body’s ability to sense where it is in relation to the environment. Balance and proprioception assessments and exercises are important to regain proper ankle function and prevent future recurrences. Strength — It’s tempting to rely on braces or shoes for support, but what happens once you no longer have that external support? Wouldn’t you rather have built-in support? Building your strength is key. Strengthening everything above the ankle including your hips and glutes will help to better position the foot and ankle. During our physical therapy sessions, I recommend balance exercises and stretches that should be done before and after athletic activities. You’ll also want to continue strengthening your feet and legs, wear appropriate footwear, avoid sudden and sharp changes in direction, and watch the surface you’re walking, running, or jumping on. 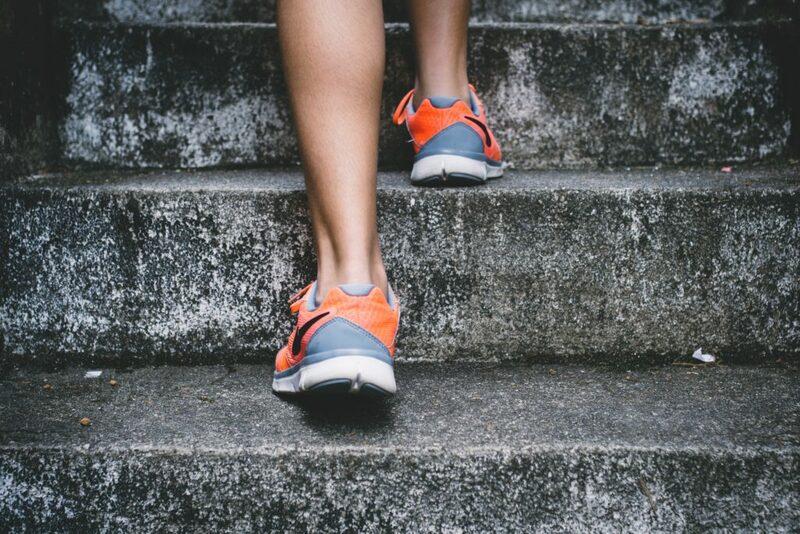 Because there’s a high incidence of ankle sprains with certain contact sports and running, I often recommend “prehab,” which is a type of physical therapy used to prevent injury in the first place. This therapy can also help reduce pain from a current injury, or prepare for a smoother post-op recovery. For athletes in ankle sprain-prone sports, prehab — training in the off season — may be helpful in preventing sprains and improving recovery times should one occur. Since many sprains are more than a simple twisted ankle, it’s important to seek appropriate care. Physical therapy can be an effective treatment tool to help get you back on your feet and prevent future injury. So keep pushing towards your goals, and don’t let a sprained ankle slow your progress. Dara Richman specializes in Orthopedics and Sports Medicine here at Diablo PT. As an avid athlete herself, she understands the desire to stay in peak performance. When she’s not working with patients, you’ll likely find her racing mountain bikes. Request a session with Dara by contacting our Danville location for an appointment.